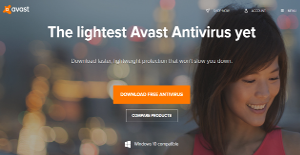 Avast is a popular antivirus software that offers free and premium versions to its users. With the Avast for Business Edition, users are provided with one of the best endpoint protection available in the market today. The software shields your system, servers, and devices with critical, industry-grade protection, whether it’s running on Mac or Windows operating systems. The software comes with a browser-based console that provides you with full control over your antivirus that is installed on your endpoint devices. As the software is cloud-based, there is no need for you to purchase and set up additional hardware. It is light and fast but doesn’t compromise you in terms of network and device security. Avast for Business is easy even to novice users right off the bat. Setup is fast and simple and doesn’t require deep IT and antivirus knowledge and expertise. Once it is up and running, accessing multiple devices is a cinch. The console centralizes your access to all your desktops and workstations, granting you total over the behavior and actions of your the antivirus over all your endpoint devices. From the console, you can instantly view the current status of your network and devices. On top of that, you are instantly notified of any change or update with its automated alerts. The in-product chat functionality provides you quick access to product support in the event that you need their expertise. Avast for Business automatically updates without you noticing it or having to enter its system to implement upgrades. Apart from the very seamless automated updates, Avast for Business is cloud-based, which means you save significant costs that come with software installation and hardware setup. The software comes with the most recent Avast for Business Antivirus. Some of the features you will enjoy include data virtualization, multiple platform protection (Macs, PCs, and servers), extra firewall feature to protect remote endpoints and total server protection. You can also secure your email client for additional layer of protection. Each enterprise has its own characteristics, and can call for a specific IT Management Software solution that will be fit for their business size, type of clients and staff and even particular niche they support. We advise you don't count on getting an ideal app that is going to work for every business no matter what their history is. It may be a good idea to read a few Avast reviews first and even then you should remember what the software is intended to do for your company and your workers. Do you need a simple and straightforward app with only basic features? Will you really make use of the complex tools required by experts and big enterprises? Are there any particular tools that are especially beneficial for the industry you operate in? If you ask yourself these questions it will be much easier to find a trustworthy app that will match your budget. How Much Does Avast Cost? We realize that when you make a decision to buy IT Security Software it’s important not only to see how experts evaluate it in their reviews, but also to find out if the real people and companies that buy it are actually satisfied with the product. That’s why we’ve created our behavior-based Customer Satisfaction Algorithm™ that gathers customer reviews, comments and Avast reviews across a wide range of social media sites. The data is then presented in an easy to digest form showing how many people had positive and negative experience with Avast. With that information at hand you should be equipped to make an informed buying decision that you won’t regret. What are Avast pricing details? What integrations are available for Avast? If you need more information about Avast or you simply have a question let us know what you need and we’ll forward your request directly to the vendor.